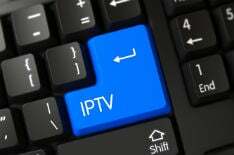 This week police across Europe coordinated to shut down what is claimed to be one of the world's largest pirate IPTV networks. Following raids in Cyprus, Bulgaria, the Netherlands, and Greece, TorrentFreak identified the ISP from where the illicit operation allegedly broadcast to the world. Located in a small Bulgarian town, the ISP says it is cooperating with the police to identify the suspects. This week, police forces around Europe took action against what is believed to be one of the world’s largest pirate IPTV networks. The investigation, launched a year ago and coordinated by Europol, came to head on Tuesday when police carried out raids in Cyprus, Bulgaria, Greece, and the Netherlands. A fresh announcement from the crime-fighting group reveals the scale of the operation. It was led by the Cypriot Police – Intellectual Property Crime Unit, with the support of the Cybercrime Division of the Greek Police, the Dutch Fiscal Investigative and Intelligence Service (FIOD), the Cybercrime Unit of the Bulgarian Police, Europol’s Intellectual Property Crime Coordinated Coalition (IPC³), and supported by members of the Audiovisual Anti-Piracy Alliance (AAPA). In Cyprus, Bulgaria and Greece, 17 house searches were carried out. Three individuals aged 43, 44, and 53 were arrested in Cyprus and one was arrested in Bulgaria. All stand accused of being involved in an international operation to illegally broadcast around 1,200 channels of pirated content to an estimated 500,000 subscribers. Some of the channels offered were illegally sourced from Sky UK, Bein Sports, Sky Italia, and Sky DE. On Thursday, the three individuals in Cyprus were remanded in custody for seven days. “The servers used to distribute the channels were shut down, and IP addresses hosted by a Dutch company were also deactivated thanks to the cooperation of the authorities of The Netherlands,” Europol reports. TorrentFreak was previously able to establish that Megabyte-Internet Ltd, an ISP located in the small Bulgarian town Petrich, was targeted by police. The provider went down on Tuesday but returned towards the end of the week. Responding to our earlier inquiries, the company told us more about the situation. “We are an ISP provider located in Petrich, Bulgaria. We are selling services to around 1,500 end-clients in the Petrich area and surrounding villages,” a spokesperson explained. The spokesperson added that some of Megabyte’s equipment is located at Telepoint, Bulgaria’s biggest datacenter, with connectivity to Petrich. During the raid the police seized the company’s hardware to check for evidence of illegal activity. “We were informed by the police that some of our clients in Petrich and Sofia were using our service for illegal streaming and actions,” the company said. TorrentFreak asked many more questions, including how many police attended, what type and volume of hardware was seized, and whether anyone was arrested or taken for questioning. But, apart from noting that the police were friendly, the company declined to give us any additional information, revealing that it was not permitted to do so at this stage. What is clear, however, is that Megabyte-Internet is offering its full cooperation to the authorities. The company says that it cannot be held responsible for the actions of its clients so their details will be handed over as part of the investigation. “So now we will give to the police any details about these clients because we hold their full details by law. [The police] will find [out about] all the illegal actions from them,” the company concludes, adding that it’s fully operational once more and working with clients.